Home > Letters > How Effective is Long-Term Recovery? How Effective is Long-Term Recovery? On June 21, Wilbur shared, as he graduated from Bethesda’s long-term recovery program, “I don’t want to go back where I was. I mean, I was in the gutter, but the Mission pulled me up out of the gutter. As long as I believe in Jesus, it’ll be alright – I know it’ll be alright.” Along with 6 other guys, Wilbur was recognized for his personal accomplishments and his decision to surrender to God’s calling on his life. While we wholeheartedly celebrate success stories like these, there is more work to be done. Last fall we had to make some difficult decisions. 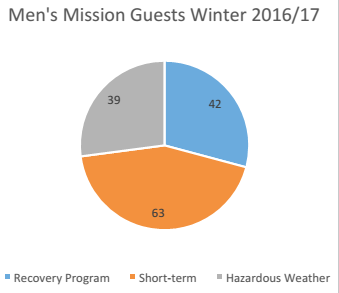 To lessen the stress on the building and help facilitate long-term recovery, we sought help from community partners to open additional emergency shelter space within the city over the winter, allowing us to reduce the average number of winter guests at the Men’s Mission from 160 to 130. With your support, that goal was achieved – the plan is to do it again this winter. I’m sure the next question on your mind is, “did it work? Have we been more effective at creating an atmosphere conducive to long-term recovery and reentry?” To answer this, I’ll need to back up and try to paint the bigger picture. 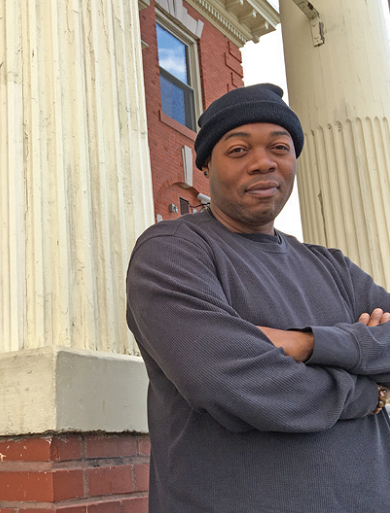 “I consider everyone a part of the recovery program.” –Bill Christian, Men’s Mission Director. That larger percentage of short-term guests holds a lot of potential. This is a group of men whose circumstances vary greatly, but who have all willingly checked-in and are under our roof for an extended period of time. 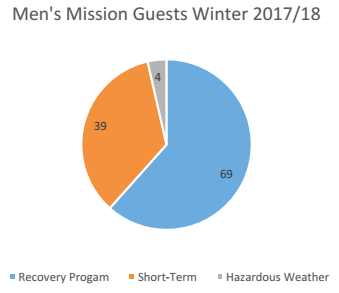 To help maximize interactions with men in this group, our on-staff recovery counselors have expanded their impact by becoming “life coaches,” spending intentional time with our short-term residents as well as long-term guests. The goal is for every man to have met with a life coach within those 20-days. 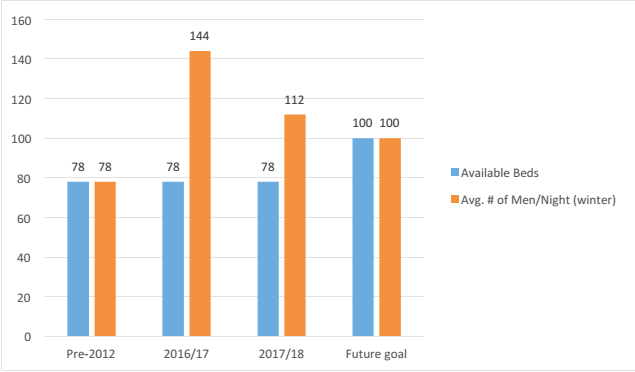 Some will then enter the long-term recovery program, while others may just need to set a few specific goals (like save up for housing, apply for jobs, or reconcile with a family member), before successfully reentering society. All along the way, we are looking for opportunities to share the gospel of Jesus Christ with those men whose heart has been softened to the Spirit’s calling. We believe that taking the time to listen to each man creates more fertile soil, proven by the abundance of fruit we have been witnessing over the past year. All glory to God! But currently, we’re only getting to about half of that short-term population. We continue to need your support to help reach every person. It’s exceedingly clear that long-term change is what will make the biggest impact on our guests, our city, and our region. Will you renew your partnership with Bethesda Mission this month? Click here to donate today. Every step on the road to recovery carries a price tag, but thanks to you, our faithful donors, individuals in the depth of brokenness do not need to worry about paying for the services they need. Best of all, they can concentrate on searching within their hearts for who God has created and is calling them to be.